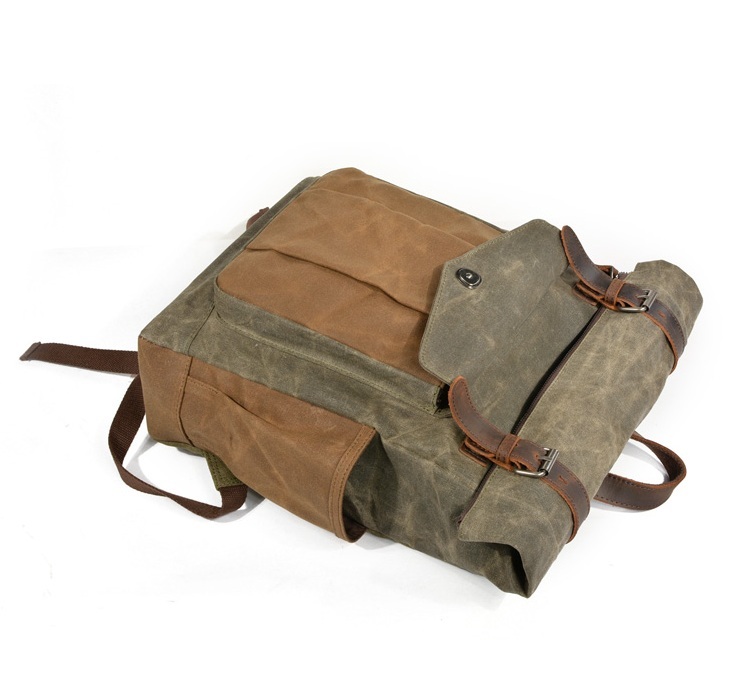 WATERPROOF MATERIAL, DURABLE, FASHIONABLE- Constructed out of waxed canvas fabric and crazy horse leather which makes it lightweight and breathable. 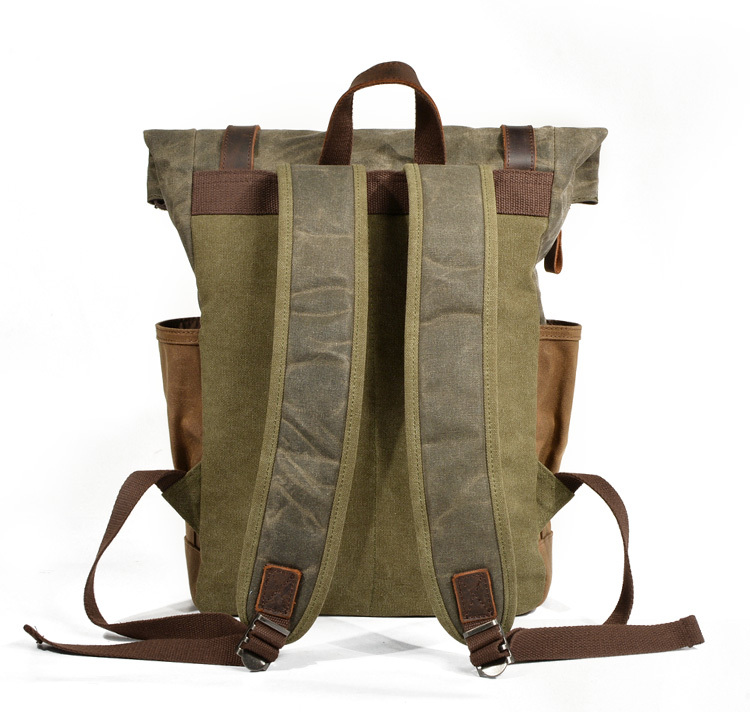 The densely woven fabric is completely saturated with wax which makes it repel water naturally. 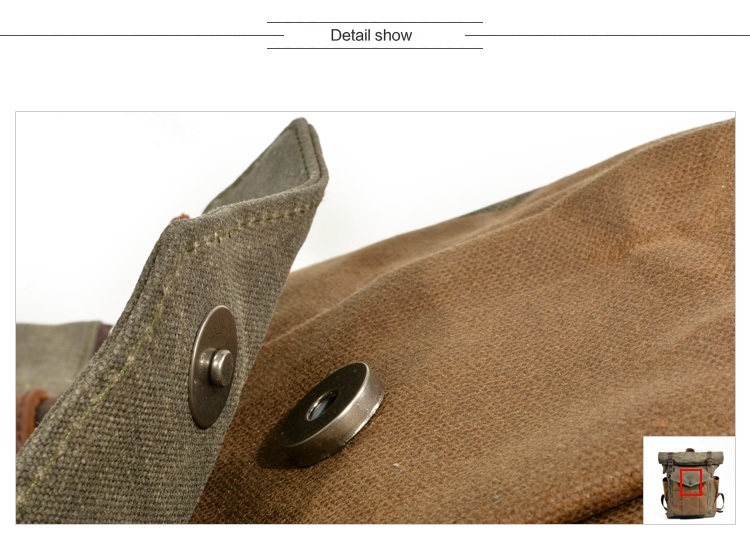 the high-density waxed canvas is well coated which increases its resistance towards cracks. 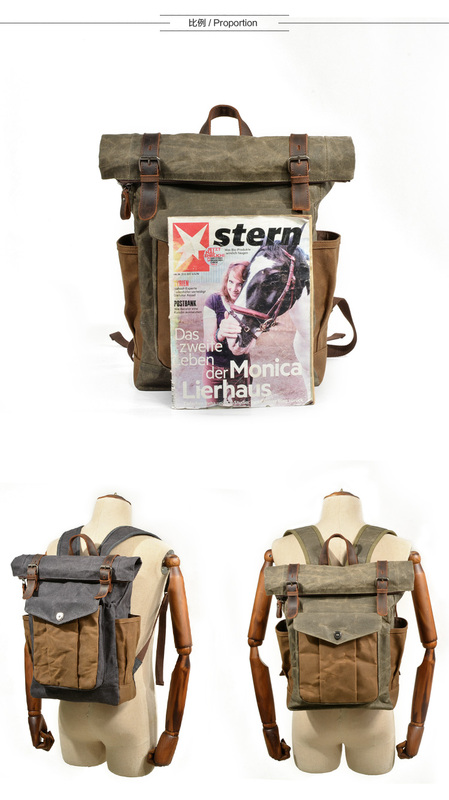 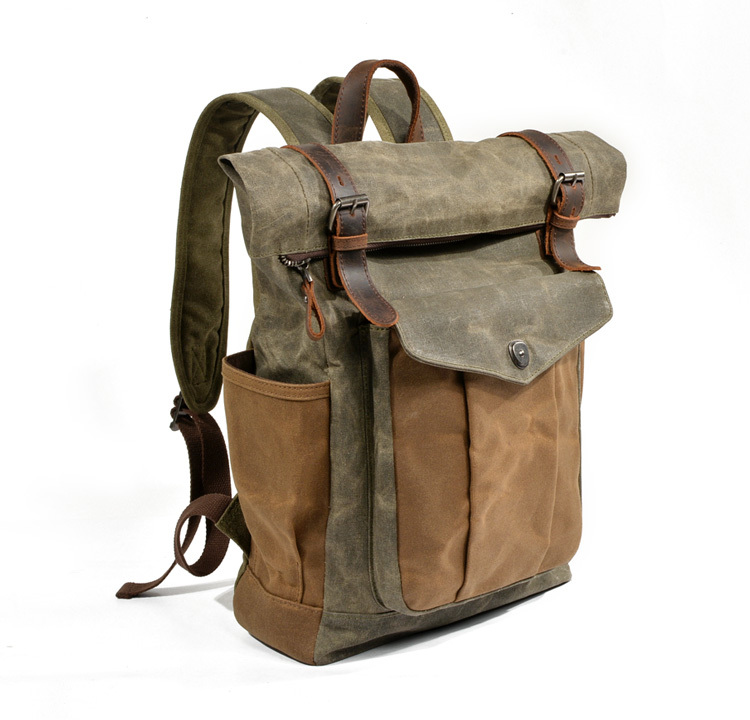 The fine roll-top design with a crazy horse leather trim closure gives this rucksack a classic yet vintage touch at the same time. 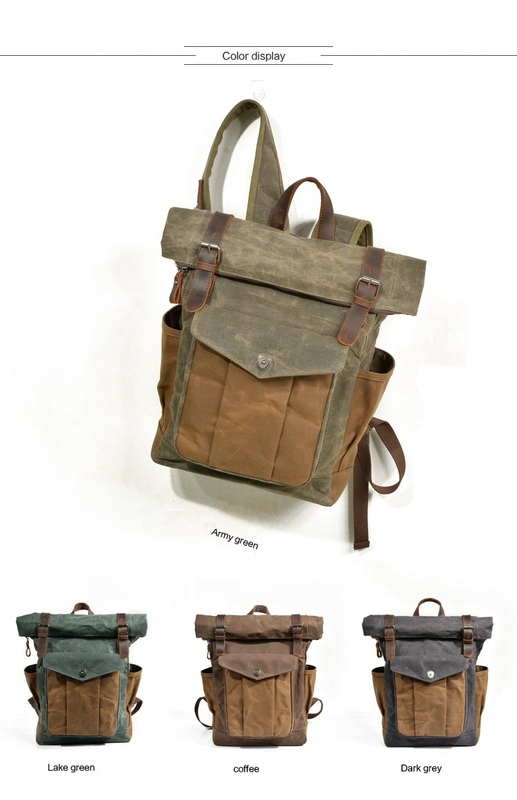 CONVENIENT AND COMFORTABLE- The adjustable shoulder straps are foam padded which makes them extremely comfortable for longer trips. 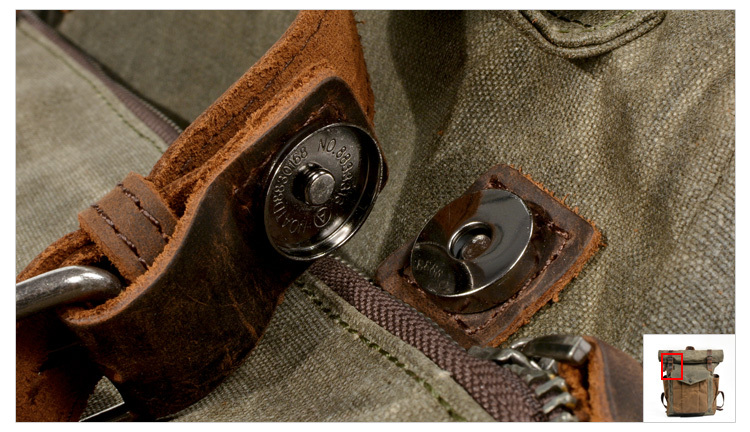 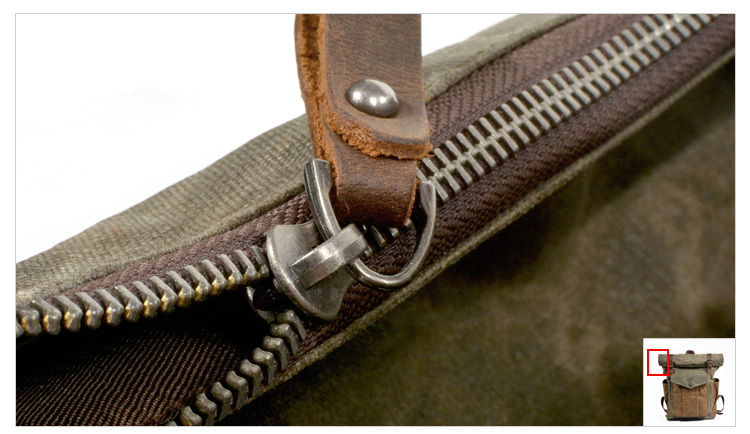 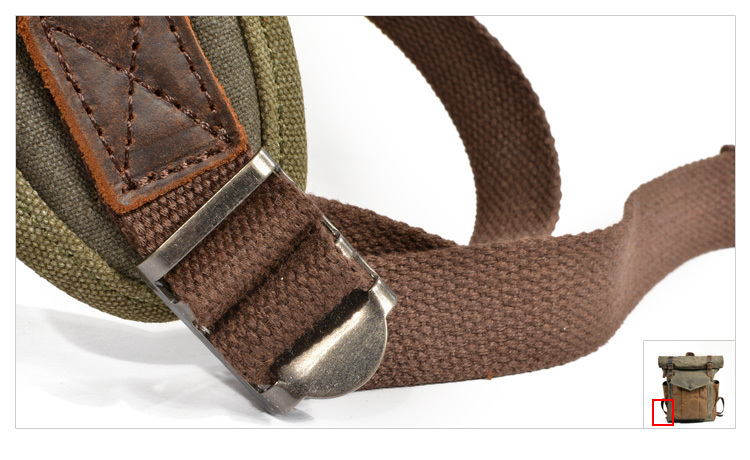 Their buckle fixed design is ideal to hold the bag in a secure manner without breaking off. 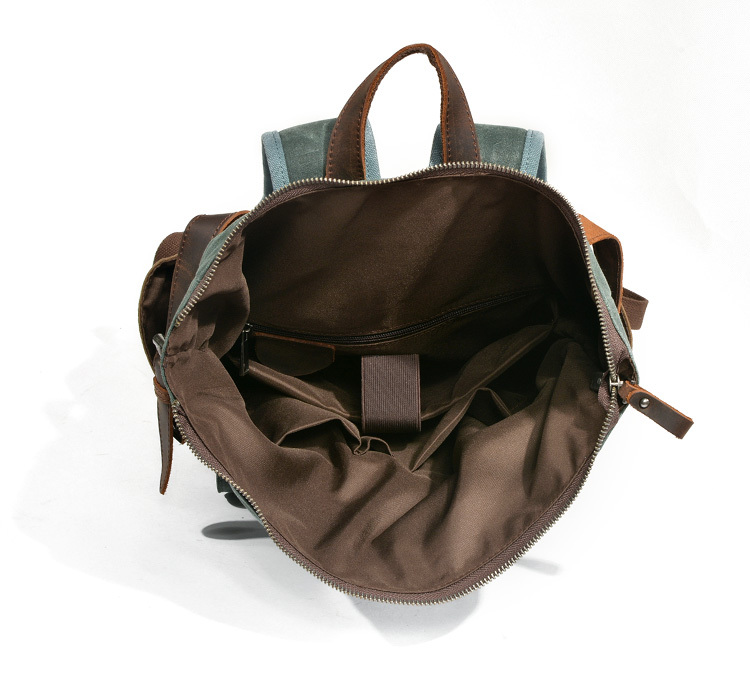 IDEAL DIMENSIONS- With an ideal size of 18 x 12.2 x 5.5 inches, this travel bag can carry all your basic necessities while providing additional protection to your expensive gadgets. 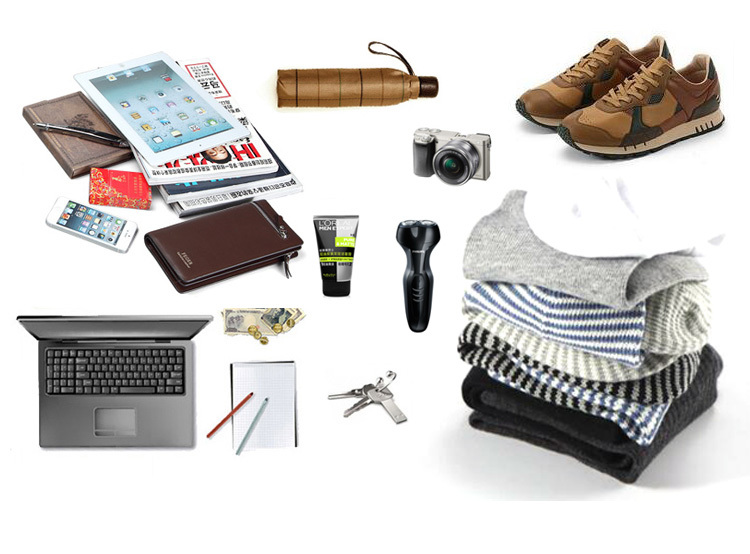 Now carry your laptop, tablet, books, mobile phone, water bottles, keys, and other stuff in a clean and organized manner without any hassle. 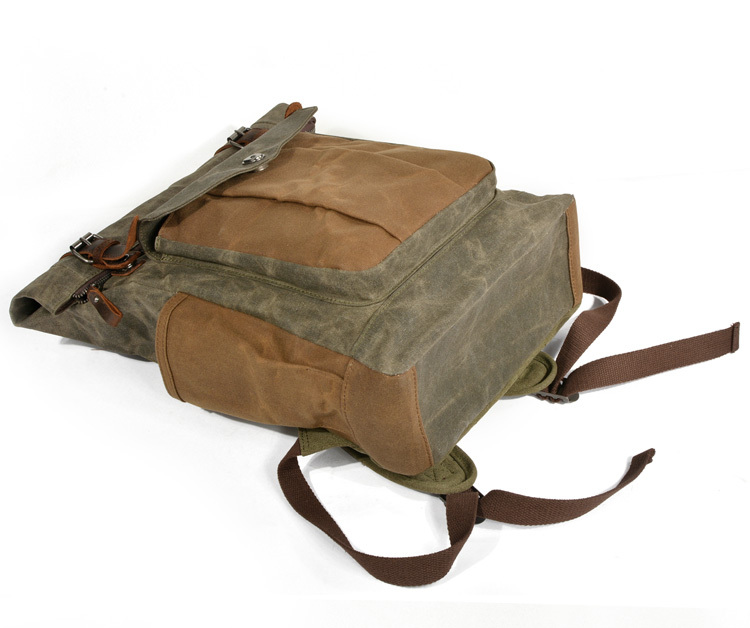 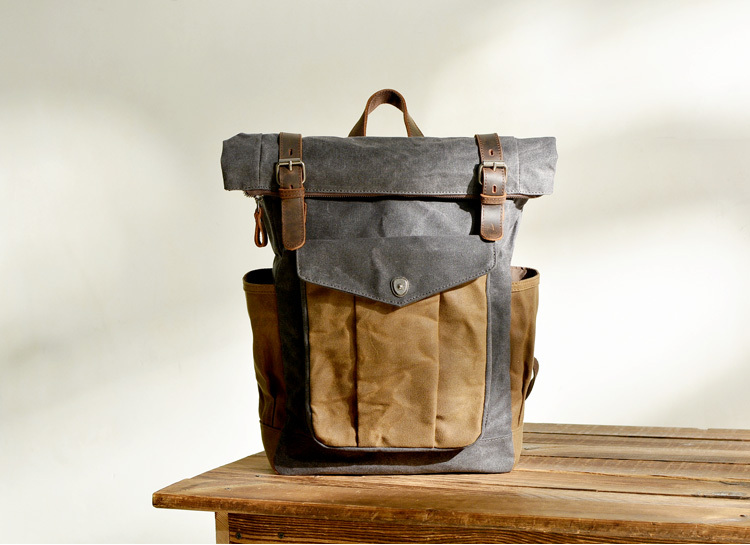 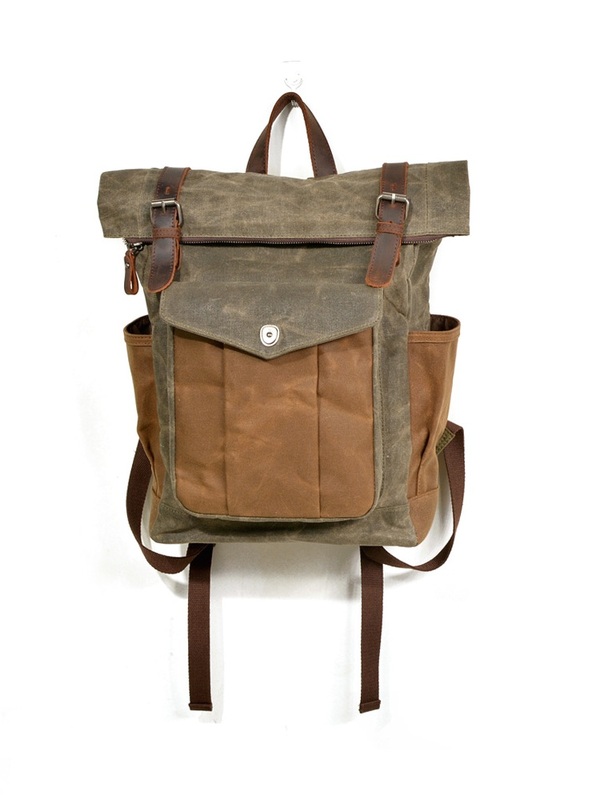 MULTIFUNCTIONAL POCKET DESIGNS- This wax canvas rucksack provides you 1 large padded compartment for your books and a separate foam padded compartment for your laptop. 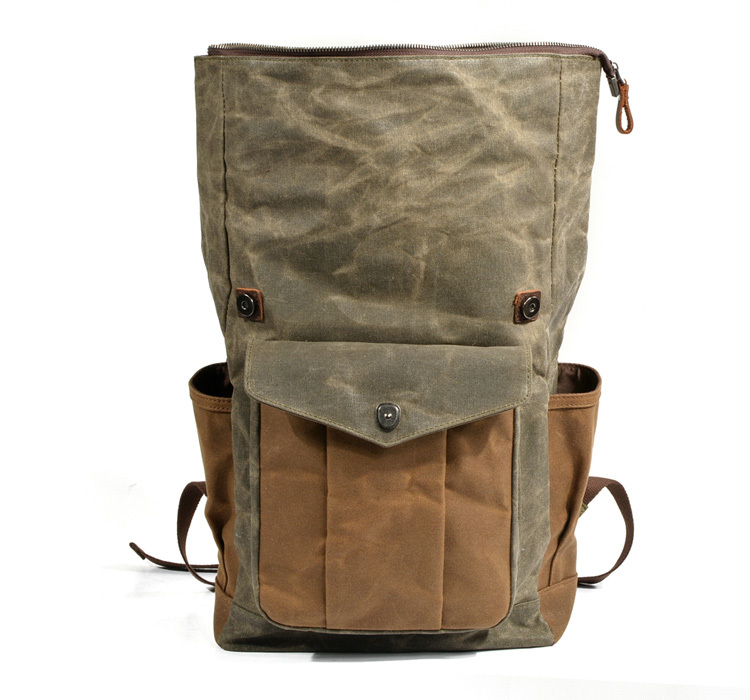 It also comes with 1 flap front pocket and 2 side pockets for water bottles and smaller accessories.